Anglesey Coastal Cottage in Wales. SpinDrift – a perfect holiday by the sea. Spindrift offers a very special holiday experience, with unrivalled sea views from the kitchen, lounge, dining area, both upstairs bedrooms, both bathrooms, the conservatory, and even a glimpse of the sea from the downstairs bedroom. With the one way glass over both bathroom windows, you can even shower enjoying the hypnotic views of the sea. 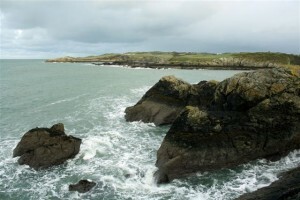 Located in a quiet corner of the very beautiful Cemaes Bay in Anglesey. Spindrift means spray, especially the spray blown from cresting waves by the wind. 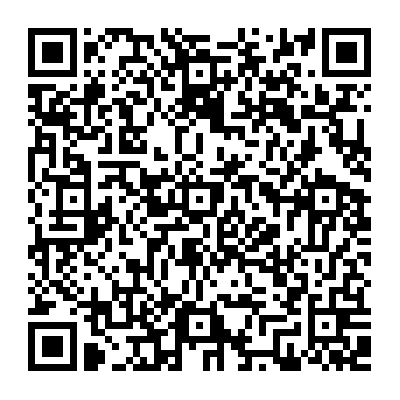 Three bedrooms, two bathrooms, sleeps 6/7, dogs welcome. 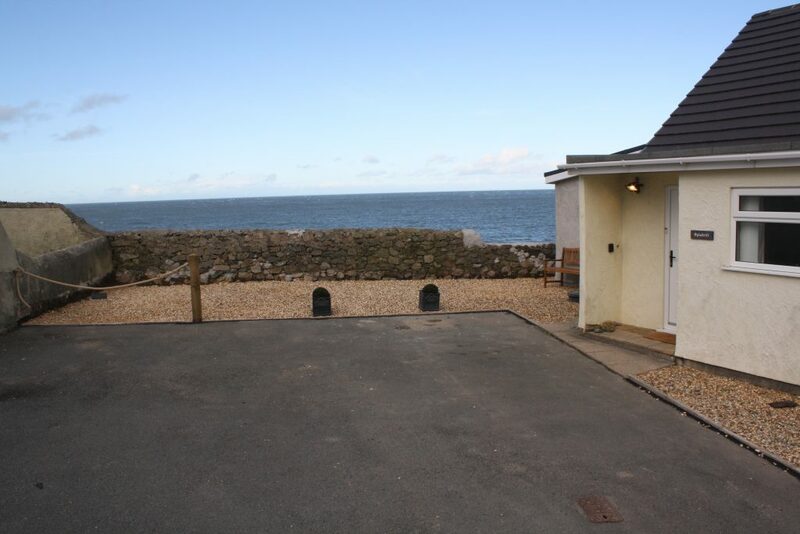 Beach 3 minutes away, great pub and village shops 5 minutes, stunning sea views. 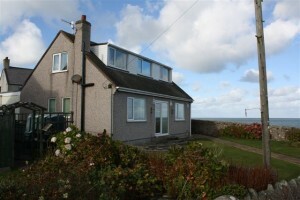 It is only 20 metres from the sea, with direct access from the garden onto the coastal path. The nearest beach is 200 metres away, at low tide when you can get down the steps near Angorfa. 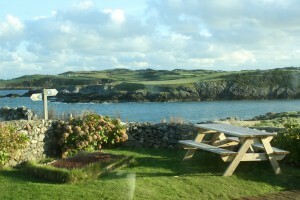 This picture is taken from the living room, showing the garden, where you might be barbecuing. It was taken on a winters day, but it was still surprisingly warm. It is the same view you will see from the kitchen, two bedrooms, the lounge room, and the conservatory! Spindrift is a compact dormer bungalow, but this view of the back of the house shows just how many windows face the sea, to hopefully show just how we get the amazing views. This is the view from the garden wall. Close to the sea!